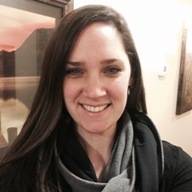 Sarah Carr, LMT is a 2004 graduate of the Onondaga School of Therapeutic Massage in Syracuse, New York. In addition, she holds an Associates of Science from Champlain College in Vermont and a Bachelors of Arts from LeMoyne College. She has successfully run an independent massage practice since receiving her licensure in 2005. In addition to working at Infinite Light Center, Sarah has worked as the on-site Massage Therapist at St. Joseph’s Hospital Health Center including various off-site locations and other businesses throughout the Central New York area. Her massage therapy practice focuses on combining Swedish massage with deep tissue techniques, myofascial release, trigger point therapy and intuition to ease physical ailments. Sarah has an interest and affinity toward energy practices and has received training in Reiki and CranioSacral Therapy. The Integrative Massage is designed around each client’s individual needs. Whether you need deep tissue combined with energy work, or a Swedish massage with specific trigger point therapy and sinus relief, this particular massage is what your body needs in order to heal itself. We will work together to bring about the relief in your tissues and sense of peace necessary to move forward. Includes all hot/cold treatments. Give your feet a break with this treatment for the most overworked part of your body. Using Young Living RC Blend essential oil and massage cream, your arches, heels and lower legs will be rejuvenated and ready to keep you moving. Specific work may be done on problem areas such as plantar fasciitis, tendonitis, and other foot conditions. To schedule an appointment, call/text (315) 876-4010 or email stclmt@massagetherapy.com. Payment: Sarah accepts cash, checks, and all major credit cards.